Fry rawa with little ghee for a minute. To make a batter, take a bowl, add rawa, curd, salt (according to taste) and pinch of soda and mix well. Now add enough water to make a perfect consistency. Set aside covered with a lid for of 1/2 an hour. 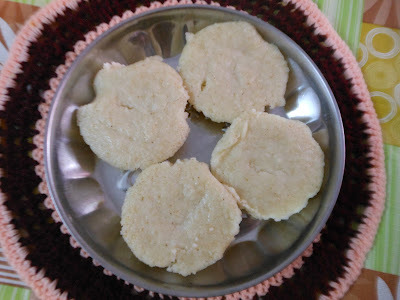 Cook idli in idli cooker .